In a heavy 6- to 8-quart pot or soup kettle, bring the chicken stock to a bubbling boil over high heat. Drop the beans in and boil them briskly for 2 minutes. Remove the pot from the heat and let the beans soak for 1 hour. Meanwhile, simmer the salt pork and optional pork rind in 1 quart of water for 15 minutes; drain and set aside. With the point of a sharp knife, pierce 5 or 6 holes in the sausage; then add the sausage, salt pork and pork rind to the beans. Bring to a boil over high heat, skimming the top of scum. When the stock looks fairly clear, add the whole onions, garlic, thyme, bouquet garni, salt and a few grindings of black pepper. Reduce the heat and simmer uncovered for 45 minutes, adding stock or water if needed. With tongs, transfer the sausage to a plate and set it aside. Cook the beans and salt pork for another 30 to 40 minutes, or until the beans are tender. Drain and transfer the salt pork and rind to the plate with the sausage; discard the onions and bouquet garni. Strain the stock through a large sieve or colander into a mixing bowl. Skim the fat from the stock and taste for seasoning. Then set the beans, stock and meats aside in separate containers. If they are to be kept overnight, cool, cover and refrigerate them. Preheat the oven to 350 degrees. Cream the butter by beating it vigorously against the sides of a small bowl with a wooden spoon until it is fluffy, then beat in the oil. Dry the duck with paper towels, and coat the quarters with creamed butter and oil. Lay them skin side down on the broiler rack, and broil them 4 inches from the heat for 15 minutes, basting them once with pan juices, and broil 5 minutes more. Then increase the heat to 400 and broil for 15 minutes, basting the duck once or twice. With tongs, turn the quarters over, baste, and broil skin side up for 10 minutes. Increase the heat to 450 degrees, baste again, and broil for 10 minutes more. Remove the duck to a plate and pour the drippings from the broiler into a bowl, scraping in any browned bits that cling to the pan. Let the drippings settle, then skim the fat from the top and save it in a small bowl. Pour the degreased drippings into the bean stock. When the duck is cool, trim off the excess fat and gristle, and use poultry shears to cut the quarters into small serving pieces. If they are to be kept overnight, cool and cover the duck and bowl of fat and refrigerate them. Preheat the oven to 325 degrees. In a heavy 10- to 12-inch skillet, saute the diced pork fat over moderate heat, stirring constantly, until crisp and brown. Remove the dice and reserve. Pour all but 2 or 3 tablespoons of rendered fat into a small mixing bowl. Heat the fat remaining in the skillet almost to the smoking point, and in it brown the pork and the lamb, 4 or 5 chunks at a time, adding more pork fat as needed. When the chunks are a rich brown on all sides, transfer them with tongs to a 4-quart Dutch oven or heavy flameproof casserole. Discard all but 3 tablespoons of fat from the skillet and cook the chopped onions over low heat for 5 minutes. Scrape in any browned bits clinging to the pan. Stir in the celery and garlic and cook for 2 minutes. Pour in the wine, bring to a boil and cook over high heat until the mixture has been reduced to about half. With a rubber spatula, scrape the contents of the skillet into the casserole. Gently stir the tomatoes, bay leaf, salt and a few grindings of pepper into the casserole. Bring to a boil on top of the stove, cover, and bake on the middle shelf of the oven (adding a little stock or water if the meat looks dry) for 1 hour, or until the meat is tender. With tongs, transfer the meat to a bowl. If it is to be kept overnight, cool, cover and refrigerate. Skim the fat from the juices in the casserole, then strain the juices into the bean stock and discard the vegetables. Preheat the oven to 350 degrees. Peel the sausage and cut it into 1/4-inch slices; cut the salt pork and pork rind into 1-inch squares. In a heavy flameproof 6- to 8-quart casserole at least 5 inches deep spread an inch-deep layer of beans. Arrange half of the sausage, salt pork, pork rind, diced pork fat, duck, braised pork and lamb on top. Cover with another layer of beans, then the rest of the meat, finally a last layer of beans, with a few slices of sausage on top. Slowly pour in the bean stock until it almost covers the beans. (If there isn't enough stock, add fresh or canned chicken stock.) Spread the bread crumbs in a thick layer on top and sprinkle them with 3 or 4 tablespoons of duck fat. Bring the casserole to a boil on top of the stove, then bake it uncovered in the upper third of the oven for 75 minutes, or until the crumbs have formed a firm, dark crust. If desired, the first gratin, or crust, can be pushed gently into the cassoulet,and the dish baked until a new crust forms. This can be repeated two or three times if you wish. Serve directly from the casserole, sprinkled with parsley. 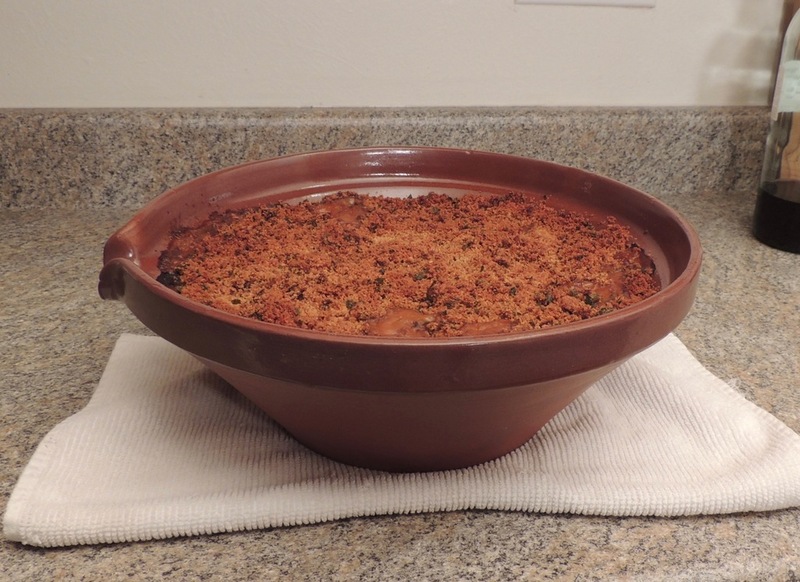 Toulouse style cassoulet is baked in a Tian. A one time French all purpose ceramic kitchen bowl used as a wash basin, a bread proofer, and a cassoulet crock when called for. It's shape, narrow at the bottom and very wide top, insures the greatest amount of crust. 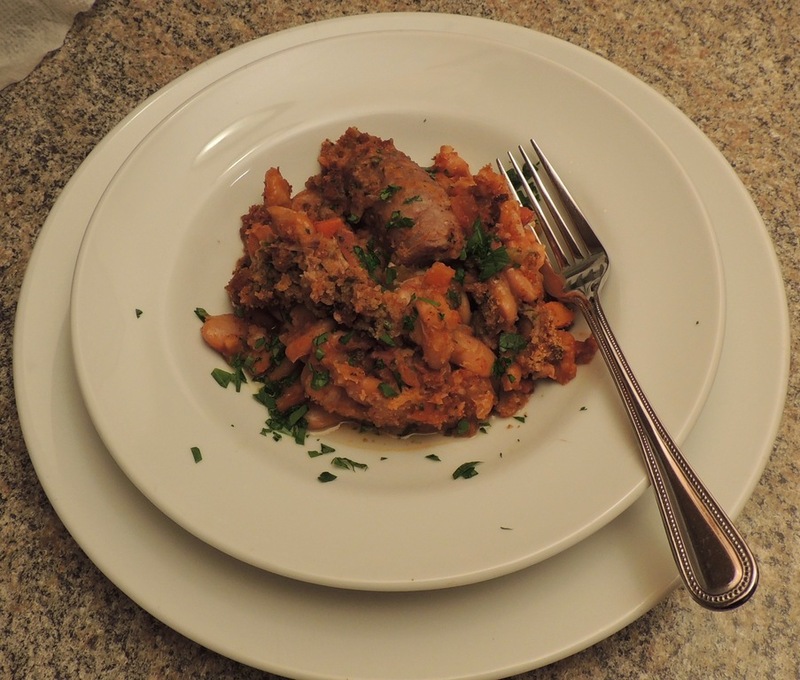 This cassoulet made for a fantastic New Year's Eve dinner even if I wasn't available to crack the crust the "required" 5 times to partially submerge it into the fatty bean/meat mix below producing one of the most desired parts of this wonderful dish. Another one time peasant dish born of privation and conscripted by "gourmet" chefs. It's all about the beans. Or so they say. 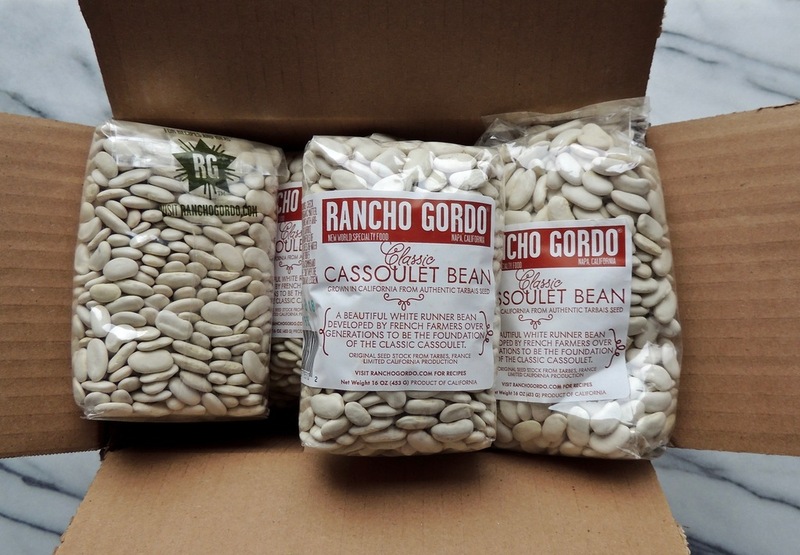 Haricot Tarbais beans are now grown in the United States. Probably don't taste exactly like the French grown beans but those can run upwards of $20+ per pound. $20/lb for beans? Not in my world. Out of the oven but not bubbling nearly enough. I haven't made that mistake again. I stick around now to properly deal with the crust. That looks absolutely delicious - and gives me some nice visual pointers when I do try making it. I have a "Roman Style" Cazuela from www.latienda.com that looks almost exactly like your Tian - I'll see if it will be of adequate size to bake mine in. Near enough to make no never mind, Ron. Tians tend to be conical, compared to the more bowl-like of your cazuela. But that shouldn't matter to the dish. Like so many Med clay pots, tians are most often used for a group of casseroles called---who'd a thunk it---tians. There are probably a dozen or more such matchings, in which the name of a dish and the name of the vessel it's cooked in, are the same. Yeah, the cooking vessel doesn't really matter. A dutch oven or even a cast iron skillet will do the trick. A tian may be the traditional cooking pot for Toulouse style but I use mostly for presentation. That and everything cooked in clay gets an added bit of magic somehow. You've got that covered with your cazuela. Bring it to the table let folks serve themselves. Family style. I'll have to wait until I am at the grocery again, but I am pretty sure that I saw the beans pictured in gMan's post when I was there last week. If I can confirm this, I'll grab some; otherwise, I may order them. An exemplary substitute are POCHAS FOR FABADA from Asturias, a White legume or Bean used in Asturian Fabada. 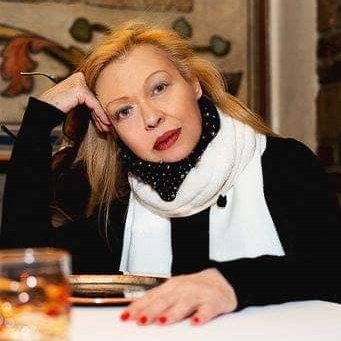 And / or JUDIONÉS but they are quite a bit larger ..